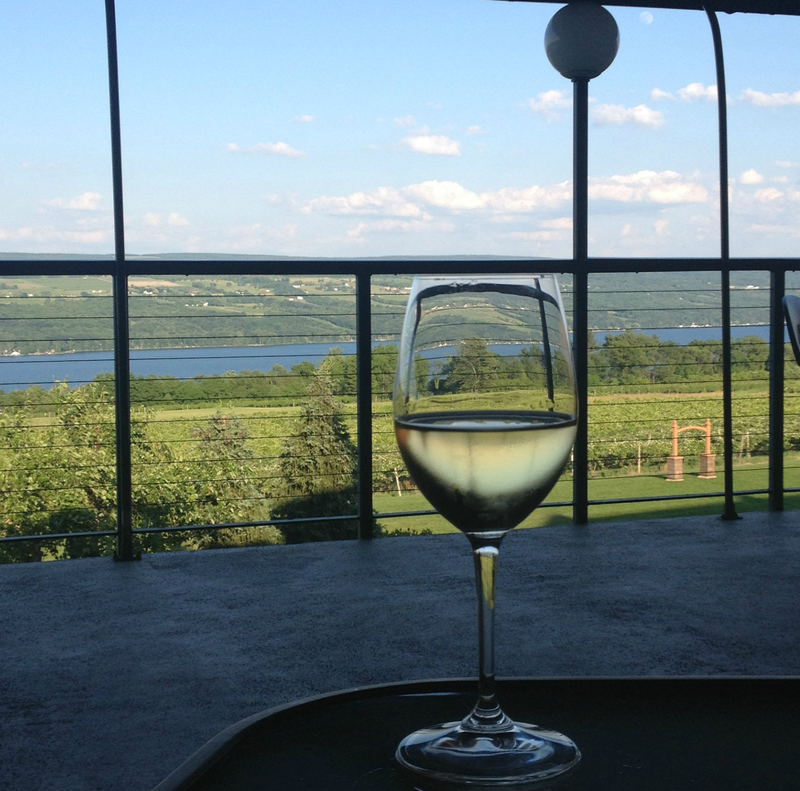 Finger Lakes Wine Month is an annual celebration of Finger Lakes wines throughout the month of May in New York State. This promotion, put on by the Finger Lakes Wine Alliance, incorporates a variety of exciting components throughout the month, including anything from in-store wine tastings at wine retailers, specialty tasting events at restaurants and wine bars, and virtual tastings via social media to winemaker’s dinners and unique food & wine pairing experiences at participating wineries. In total, nineteen wineries are participating in the month-long celebration – Glenora being one of them. Some unique promotional pieces accompany the celebration as well. A video titled “How much do you know about the Finger Lakes?” pairs dialogue from the region’s winemaker’s themselves with New York City pedestrians asked to share their knowledge of the region. Take a look and see how much you know! “Hear it from the Winemakers!” is a new component this year. Michael Warren Thomas, host of Savour Life radio show, interviews winemakers, owners, and representatives of the featured wineries, giving listeners the opportunity to gain an inside look into what’s going on at their respective wineries and in their cellars. Follow the link below to learn more about Steve, our winemaker, as he shares with Michael his history of and passion for making wine in the Finger Lakes, as well as gives some insight into our “Pinot Blanc Three Ways” experiment. >Hear it from the Winemakers! Although this exciting month is coming to a close, we have the world’s largest Finger Lakes wine virtual tasting this Saturday, called “Finger Lakes Wine Hour,” to culminate the celebration. Everyone can participate and the concept is simple; pour a glass of Finger Lakes wine, take a sip and share photos and thoughts via Twitter using #FLXWine or on Facebook on the Finger Lakes Wine Fan Page. It’s a great way to generate excitement and get people talking about the region and its wines so tune in and join in the fun! Tweet us at @GlenoraWine as we chat about our 2013 Riesling or tag us on our Facebook fan page! ← Pan2Plate Challenge Menu Reveal..Think Chocolate!